The CrossTech Holster from LimbSaver is a form-fit holster that fits virtually every pistol and revolver made. It is designed to be ambidextrous, OWB and IWB. Thanks to its special design, is flexible and extremely comfortable to wear for long periods of time. The CrossTech Holster can be form-fitted in minutes to nearly any pistol or revolver by re-positioning the adjustment bolts and then heating the front holster panel with a hair dryer or heat gun. Perfectly custom fit the CrossTech Holster to your pistol or revolver without having to go to harder and less-comfortable materials like Kydex or plastic. The Crosstech Holster can be reformed to fit future handguns. Made from a soft-touch, semi-flexible material, the CrossTech holster feels and wears like no other holster on the planet. It can be worn comfortably for hours without pinching, poking, or scratching that can cause the wearer to need to constantly re-position, which can defeat the purpose of carrying concealed. Available with smooth, strong, ultra-high-quality belt clips that hold the holster tight to your belt. 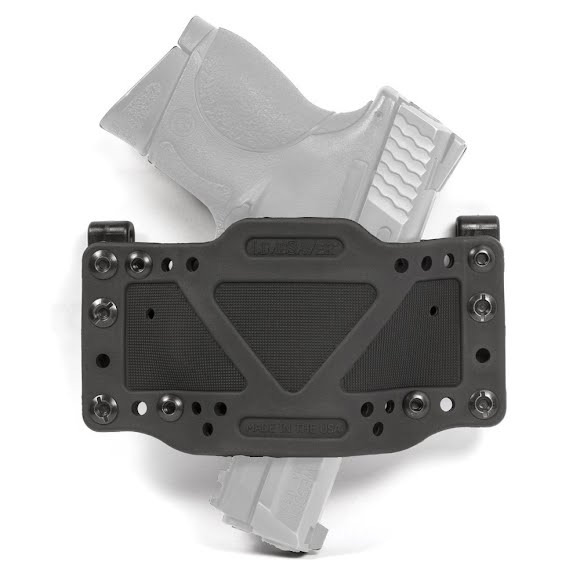 The clips fit belts up to 1.7" wide and quickly switch from OWB to IWB configuration, allowing the CrossTech Holster to be worn at the traditional 3 o&apos;clock, 1 o&apos;clock, appendix, and small-of-the-back positions. Another great feature is that the CrossTech Holster can be formed to take a custom pistol angle, also known as a "cant", as well as custom depth when setting up the holster for the first time. The CrossTech Holster is one of the thinnest holsters on the market and keeps handguns extremely close to the wearer&apos;s body, decreasing the profile of the pistol or revolver. This is crucial for concealing while wearing a t-shirt or other thin or lightweight apparel.